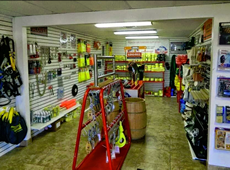 We are a quality and dependable rigging shop in the Orlando area dedicated to solving and meeting all your rigging and safety needs. We have been serving the Florida community since 1956 with excellent service, dedication and honesty. We offer a wide variety of fall protection and safety products as well as theatrical and entertainment rigging supplies. We also offer a huge selection of lifting products; from synthetic, wire, chain and rope slings to bridles, electric hoists and more.